Здравствуйте! Расскажите, пожалуйста, насколько эффективен разработанный на основе стволовых клеток препарат для лечения суставов и как он работает? 04.10.2017 Считаете ли Вы, что трансплантация стволовых клеток взрослого организма может вызвать онкологическое заболевание? не могу ответить на этот вопрос. Youth cell technologies center is a scientific department of BEAUTY PLAZA, and is headed by prof. M.D. Alexander S. Teplyashin. The private laboratory of Tissue Engineering and the Laboratory of Embryonic Stem Cells Research are unique laboratories founded in the Center and are the first of their kind in Russia (Laboratory of Embryonic Stem Cells Research). 1. Effective methods of bone marrow, adipose tissue, thymus and placental mesenchymal stem cells (MSC) isolation, cultivation and characterization. 2. Method of epidermal, endothelial and spermatogenic stem cell isolation. 3. Method of human autologous embryonic stem cells obtainment. 4. Cell lines cultivation methods, full morphological and functional analysis of isolated cell lines was performed. 5. In vitro cell technologies and tissue engineering methods for different biological tissues equivalents obtainment, methods of unique biosafe transplants fabrication and effective differentiation techniques. 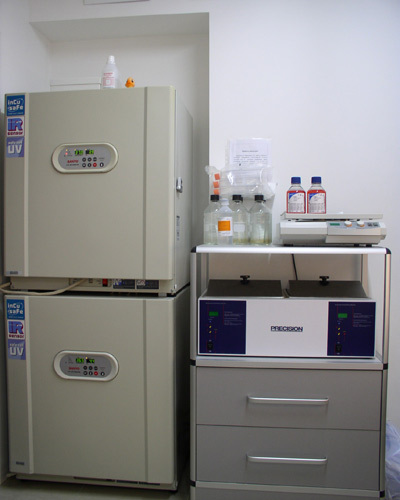 In collaboration with state scientific institutions the Center's laboratories developed unique cell technologies and new treatment methods. There were performed nonclinical investigations of in vitro manufactured three-dimensional bone tissue transplants. The technology of early stage articular cartilage degeneration treatment was worked out and others. These technologies are represented to Ministry of Healthcare RF for registration and validation. According to anti-age programs, designed in the Center, our scientists developed methods of total revitalization aimed to delay aging of the body and lengthen cell, tissue and organ’s youth. New active biomolecules were found out, besides, several products were developed based on this research («“proteins of youth”», youth activator, PROCOLLAGEN). 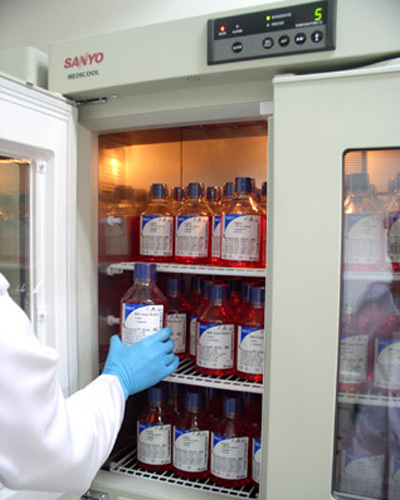 National stem cell bank was created based on the development of standardized adult cell lines. Here cells from adipose tissue (MSC AD, endothelial progenitor cells), bone marrow (MSC BM, endothelial progenitor cells), placenta (MSC Pl, fibroblasts), umbilical cord (MSC, fibroblasts), umbilical cord blood (hematopoietic stem cells), skin (fibroblasts, epidermal stem cells), and veins (endothelial cells) are preserved. 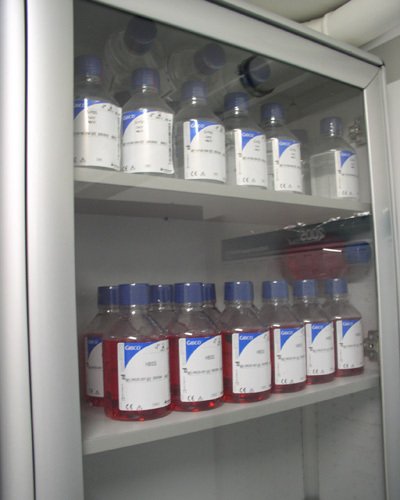 The main aim of the Bank is to provide a rapid access to totally characterized cell lines. Cells can be stored for decades without losing their life capabilities, after thawing they can be used on patient’s concern, for himself or his relatives as a close related donor material. The results of the Center of cells technologies were published in leading international Russian and foreign scientific journals. Besides, its work was presented in the world famous biotechnology conferences, congresses and symposiums in Russia, Germany, Switzerland, China and USA. The Center of cell technologies is a member of Tissue Engineering and Regenerative Medicine International Society, TERMIS). Specialist’s inventions are protected with RF, EU, USA and Canada patents (Patent №2280462 Method of mesenchymal stem cell isolation. (Thymus); Patent №2252252 Method of mesenchymal stem cell isolation. (adipose tissue); Patent №2352637 Method of human hybrid stem cell obtainment. ; U.S. patent №7,915,039 Method for obtaining mesenchymal stem cells; Europe patent application № 05 780 159.9. Method for obtaining mesenchymal stem cells). Cells technologies and tissue engineering are topical areas of regenerative medicine, emergency medicine and aesthetical medicine. Nowadays youth lengthening technologies are concentrated on cellular level, so, they are guided to repair and regenerate cells, tissues and, consequently, organs. This approach is directed to the correction of the cause, not its outcomes improvement. Cells transplantation is aimed at restoration of healthy cells number, that facilitates organs proper functioning. Cells technologies and tissue engineering enable us to obtain cells with necessary features and characteristics that will allow reconstructing different tissue defects. One of the Center goals is finding out a solution not only for scientific problems, but also to applicative tasks of regenerative and aesthetic medicine, transplantology. Isolation and characterization of many cell types is an essential contribution into development of these cells biology insight, and has an enormous fundamental meaning. 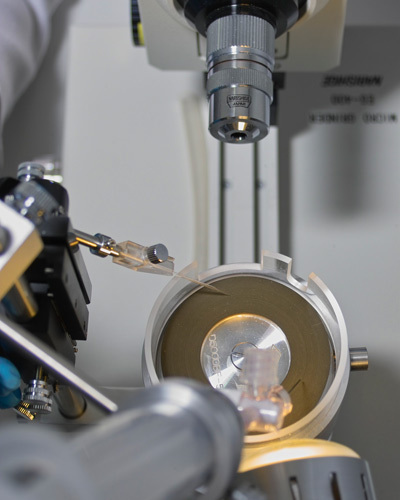 But cell technologies and tissue engineering elaborations make a connection between scientific results and their practical application. The future of regenerative medicine depends on scientific achievements in cell biology, genetic engineering, cells technologies tissue engineering and biotechnology developments. Thus, the developments of the Center of cells technologies have not only scientific value, but have an essential applicative meaning as well. Development center cell research aimed at establishing and standardizing the collection of stem cells, multipotent mesenchymal stromal cells (ITC) and fibroblasts were the basis for the National Bank of stem cells and fibroblasts. Cells of the human body are divided into ordinary and stem cells ordinary adult cells can not transform in another cell type , and can not induce embryogenesis . In humans, ninety allocated different types of cells , so the cells are those molecules which consists of an organism, stem cells and the organism is reduced . 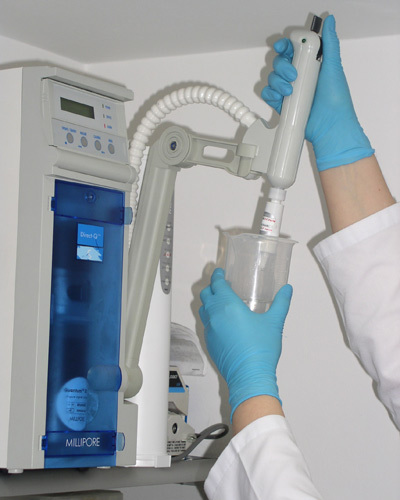 for storage of stem cells used Cryobank , Prior to entering the cell which is cooled in a freezer program steps one degree per minute. 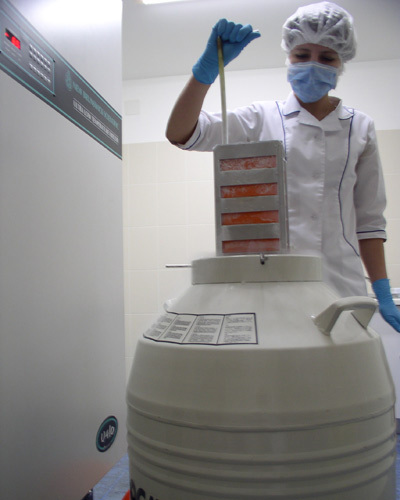 Thereafter, in special capsules , frozen to minus seventy degrees , the cells are placed into containers , numbered barcode in a special pot with liquid nitrogen , and our bank retains biological resources over 5500 patients. 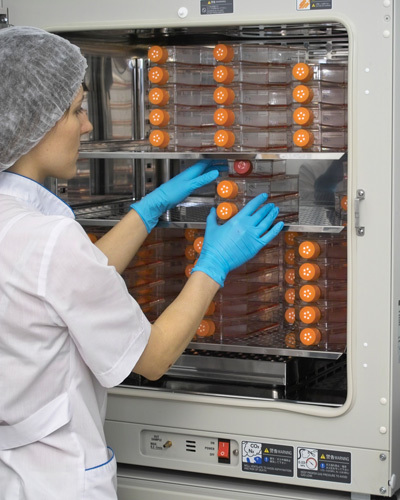 For storage of the concentrated stem cells and mononuclear cells derived from umbilical cord blood after birth, used Gemabank , there they are in special plastic plates and in order to highlight the desired cells are required for more manipulation. Longevity and beauty of a person problem in the 21st century , which pay attention to not only women but also men and successful resolution of this matter modern methods , such as cell technology allow a person to turn the modern ideas about resolving this problems . 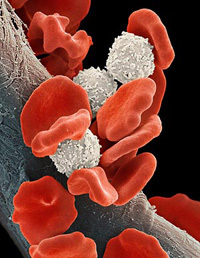 Learn more information about stem cell therapy you can in the appropriate section of our portal.